KARI(Korea Aerospace Research Institute) has been releasing KOMPSAT Imagery Quality Report since May, 2016. We have been sharing reports on our website and newsletter every other month. The report of December 2018 and January 2019 shows information of KOMPSAT-2, 3, and 3A. It includes location accuracy, ground resolution, etc. The location accuracy of KOMPSAT satellites have improved a lot from the designed specification. To receive the report, please reply back to this email. 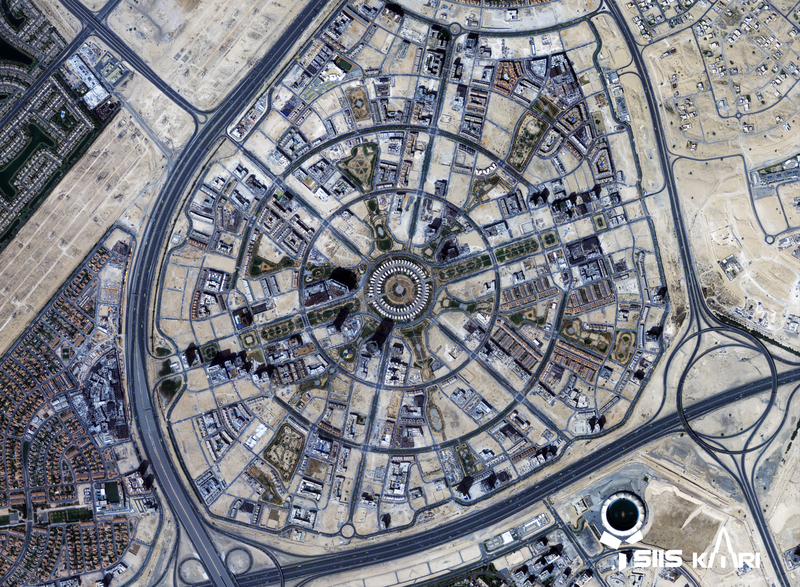 GEOMAP Consultants is a leading provider of cost-effective, advanced geospatial information solutions. The professional activities of GEOMAP include digital map production, remote sensing applications, geographic information systems (GIS), field surveying, offering training programs, and providing satellite data and value added products. GEOMAP has a wide base of clients in the fields of irrigation, environment, geology, agriculture, oil exploration, urban studies and many other fields. GEOMAP success lays in bringing the latest technology to the Middle East and Africa and becoming the provider and distributor of world-renowned geospatial suppliers of satellite data, software solutions and surveying equipment which is indeed a confident step towards excellence. Jumeirah Village Circle is one of master-developer Nakheel’s most family-friendly community projects. Located at the center of New Dubai and set amidst landscaped gardens, it boasts a range of amenities. The compact and gated community accompanies more than 2000 luxury villas and exclusive townhouses in a tranquil village setting. Copyright 2018 SIIS. All rights reserved.